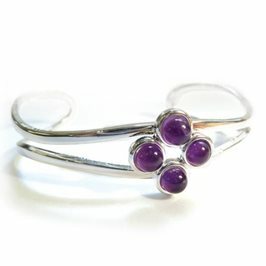 Silver Plated Bangle Setting for 5mm Round Cabochons. 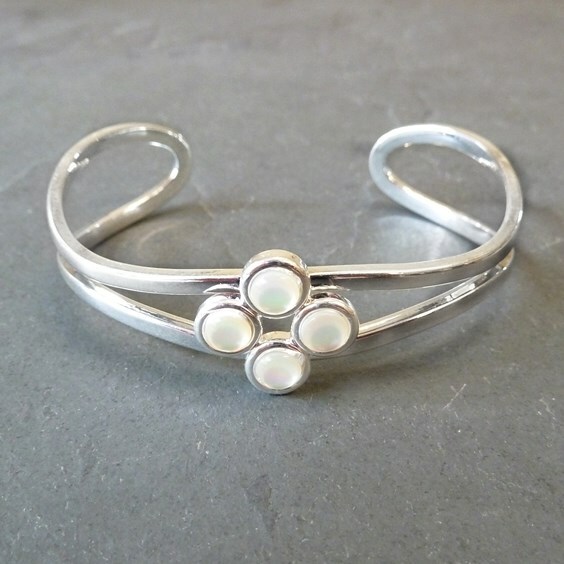 This delightful silver plated bangle is a lovely elegant design with four cups to hold your choice of 5mm round cabochons (simply glue in using Devcon 5 minute epoxy). 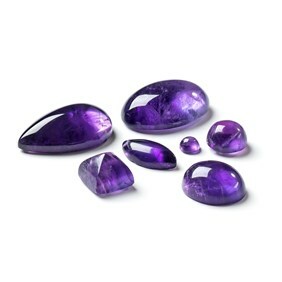 We have a wide beautiful cabochons for you to choose from - try a simple colour like we have here or combine different coloured gemstones for a more vibrant look! 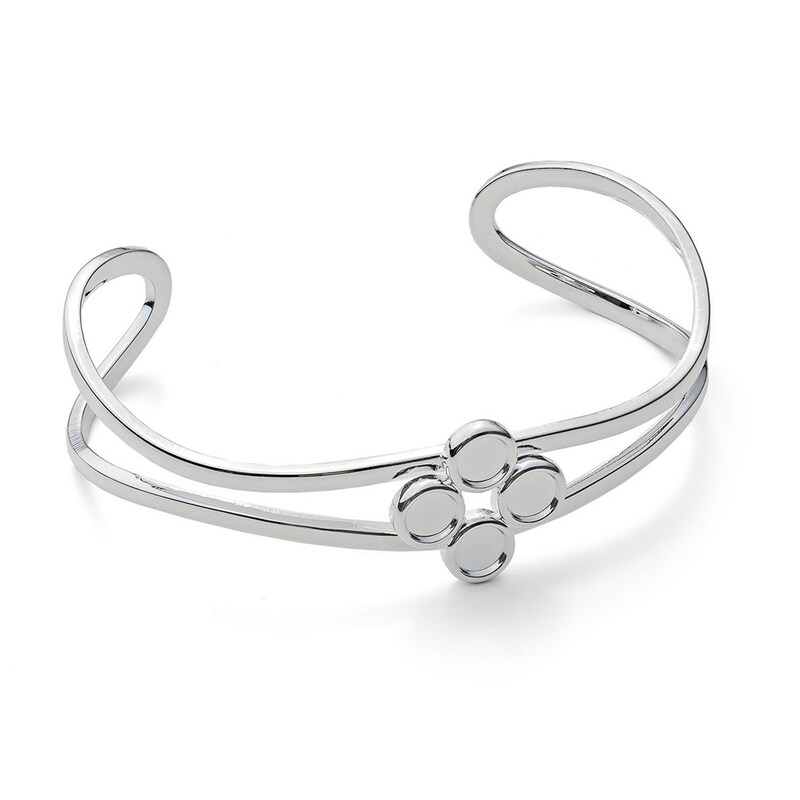 The back of the bangle is open making it easy to slip on and off and the size can be adjusted slightly by gently squeezing the bangle. This bangle setting is silver plated brass so may be a good option for anyone who suffers from a nickel allergy.